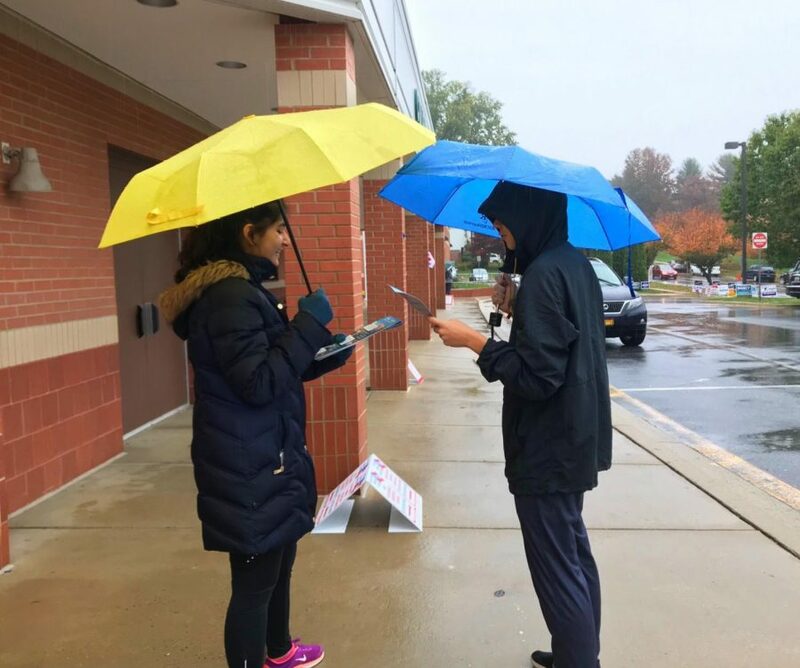 Sophomore Amna Shamim helps out on election day. Over the past few years, there has been a major increase in students’ involvement and activism on political issues. Students have become more aware of all the issues that affect them and are starting to speak up. Much of this student involvement stems from the presidential election of 2016, after which many students, especially in Maryland and at RM, wished to make their voices heard. Junior Isabelle Young co-founded the Super Political Activism Club (Super PAC) at RM after the 2016 election. According to the Washington Post, disapproval of President Trump and a desire for Democrats to control Congress have pushed many Americans under the age of 30 are being pushed to go vote. According to US News and World Report, 31 percent of voters aged 18-29 voted in the midterms, 10 percentage points higher than in 2014. This desire to make a difference has continued through this year, including the Congressional midterms and the gubernatorial race in Maryland. The Washington Post noted students involvement has also increased due to the amount of protests and marches for issues such as gun violence. Students have also become more aware and involved in politics by working on campaigns, going door to door and encouraging others to vote and be engaged through social media and any other methods. Even after the elections, students such as those from Super PAC are committed to continuing to make sure students’ voices are heard in the political conversation. “It’s safe to say that I, along with my fellow Super PAC members will stay involved since, speaking for all of us, it truly is our responsibility,” Levy said.